In 2004, Janis Heaphy Durham's husband, Max Besler, died of esophageal cancer at age 56. While coping with her grief, Janis soon began encountering phenomena unlike anything she had ever experienced: lights flickering, doors opening and closing, clocks stopping at 12:44, the exact time Max died. But then something startling happened that changed her life forever. 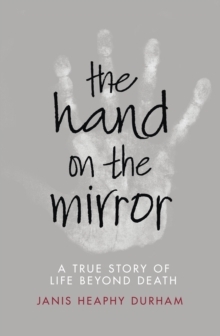 A powdery handprint spontaneously appeared on her bathroom mirror on the first anniversary of Max's death. Clearly, something otherworldly was occurring. This launched Janis on a journey that transformed her spiritually and altered her view of reality forever. She interviewed scientists and spiritual practitioners along the way, as she discovered that the veil between this world and the next is thin, and that love is what bridges the two.